The late jazz singer Jackie Paris was apparently a puzzle for lovers of the form. 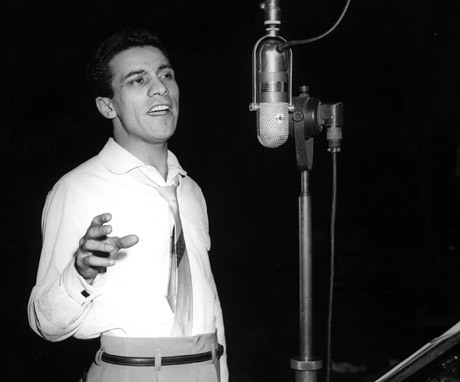 A very accomplished, well-regarded vocalist who toured with the likes of Charlie Parker and Sarah Vaughn, he was always poised for a breakthrough but somehow faded into obscurity. Director Raymond de Felitta chanced upon his work, became smitten and was delighted when the assumed dead singer suddenly reappeared on the nightclub circuit. But in delving into what happened to his stunted career, de Felitta got more of a tragedy than he could have ever expected. On the one hand, Paris may not have had the killer instinct, or angered the wrong mobster nightclub owners, or had the worst management imaginable. On the other, his personal life had more loose ends and secret relationships than the public record can contain. The more the director digs, the more he finds private embarrassments, family tensions, womanizing, poverty and a forgotten first marriage, as well as ugly emotional fallout. De Felitta is an ardent fan first and a filmmaker second, and in a sense his documentary is clumsy and awkward; his dogged obsession with overturning rocks isnt exactly accounted for and his narrow focus leaves one or two unanswered questions. But a more schooled filmmaker probably wouldnt have had the serious jazz jones that runs through every frame, and thus the investment in the horror of promise betrayed and heroes being more complicated than youd hoped.